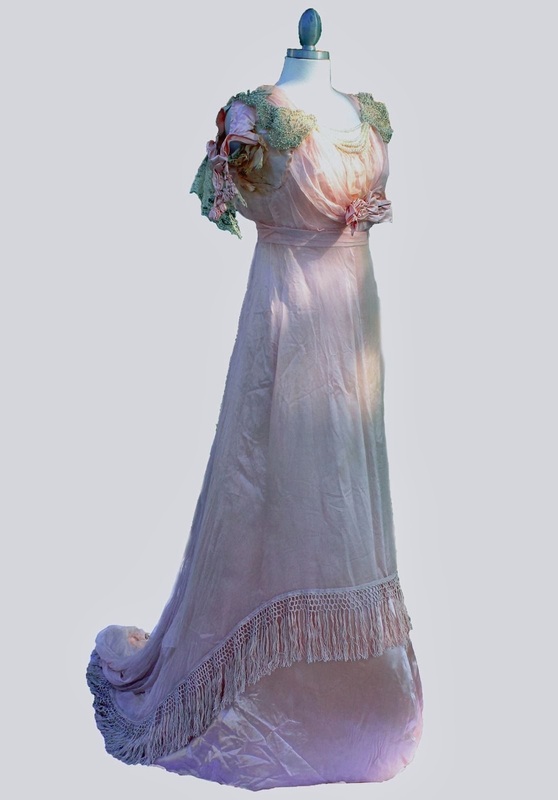 Up for auction is this Victorian or earlier era dress - truly epic in design - but in need of restoration. I have not attempted to clean it, press or repair it in any way. 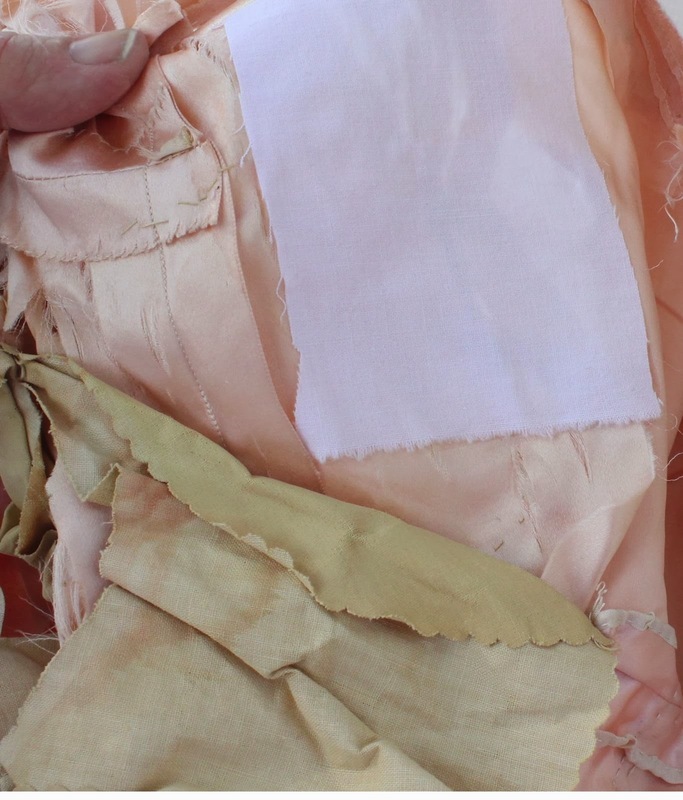 Most of the dress is hand-stitched (see pictures) and in good condition - however, the fabric under the arms & on satin front bodice is rotted and torn. Someone attempted to hold the bodice together (on the inside) with what appears to be iron on cotton. 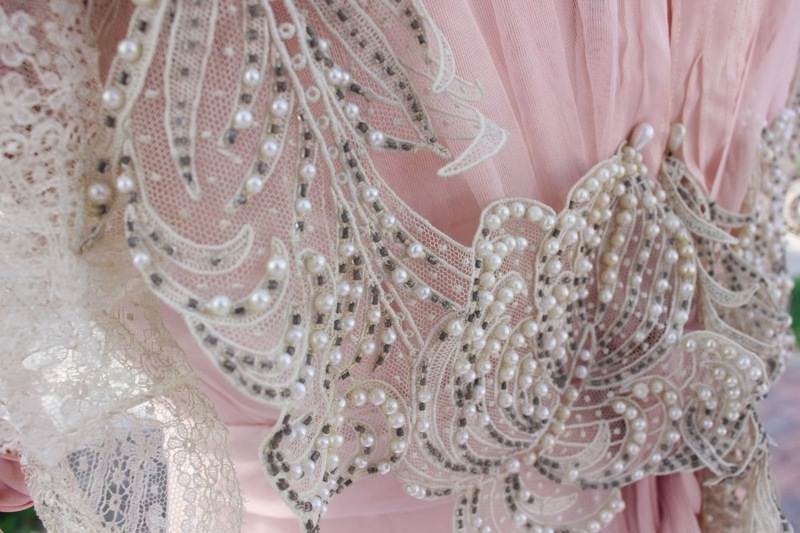 The chiffon (I belive it is chiffon?) over the trailing skirt has a couple of torn areas - and the center back of the chiffon is split (I don't know if this was intended). 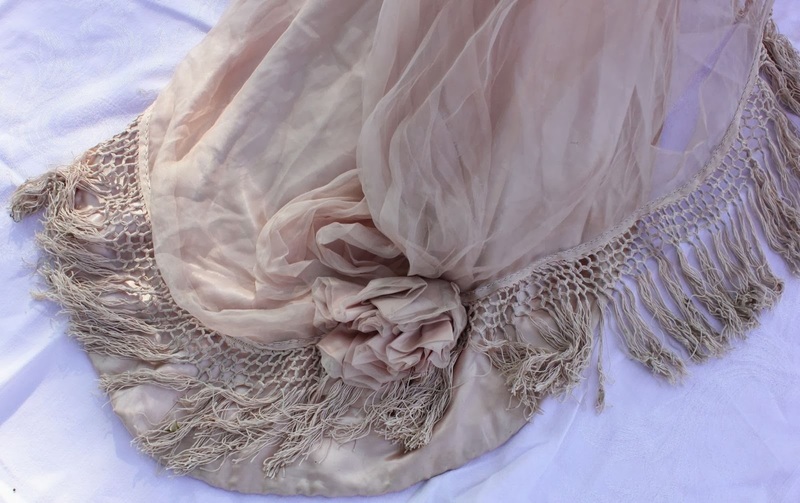 The satin skirt, closures, fringe, etc., are all in good condition. 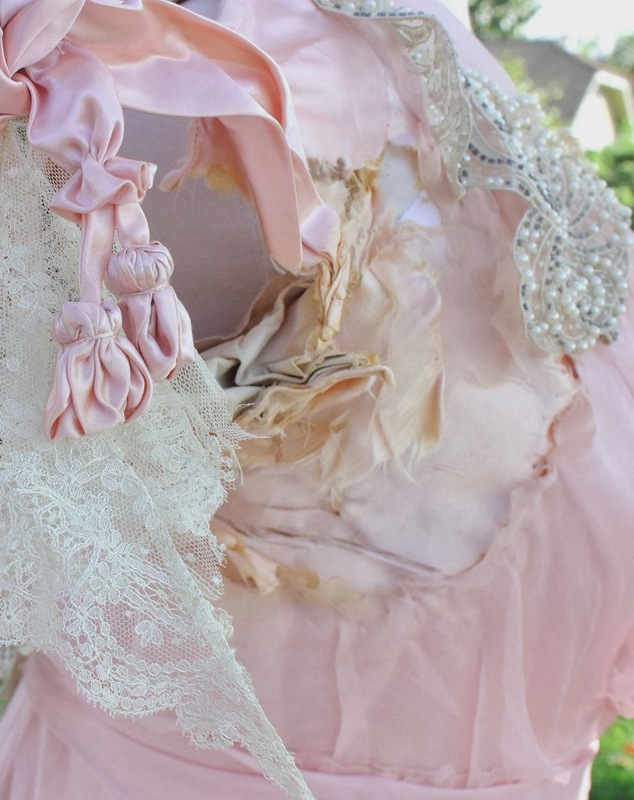 The beaded lace over the bodice is not attached to the dress but was stored with it and probably meant to lie over the bodice (as pictured); I used a few pins to hold it in place for the photographs. The satin skirt is lined around the base with thin, matching color wool. The seam edges are hand stitched under. 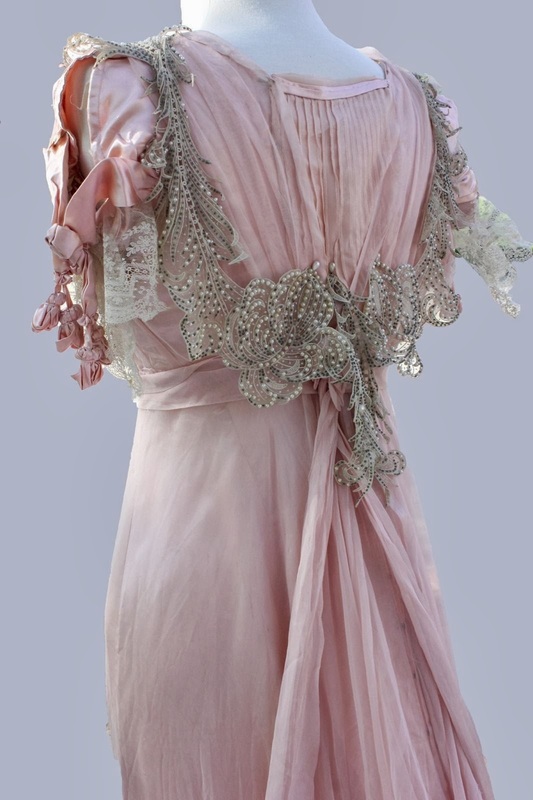 Although it cannot be worn in this condition, it is probably about a size 8 in modern sizes. 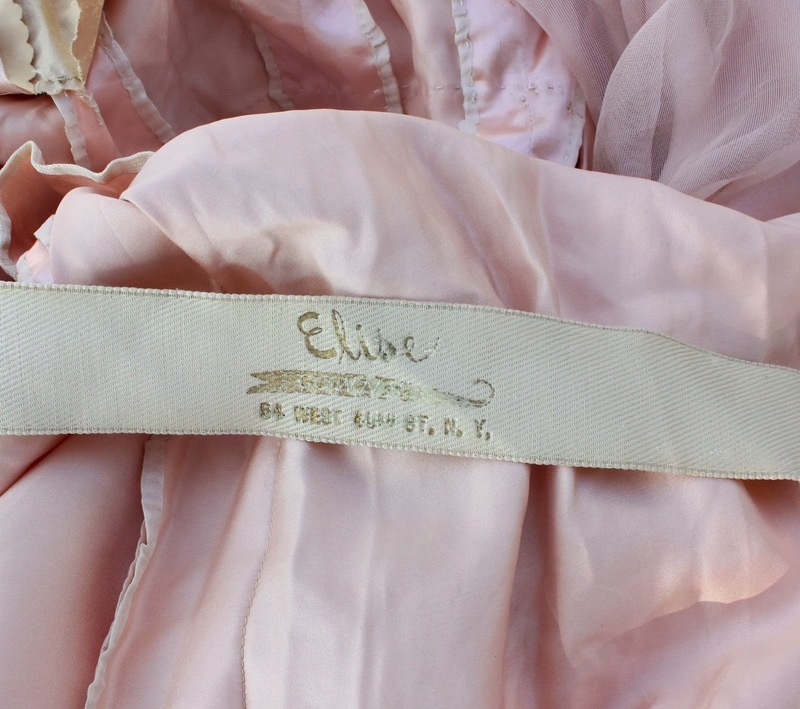 There is a waistband inside the dress that is printed "Elise" with the address below the name (of the shop?) of "64 West 46th Street New York". 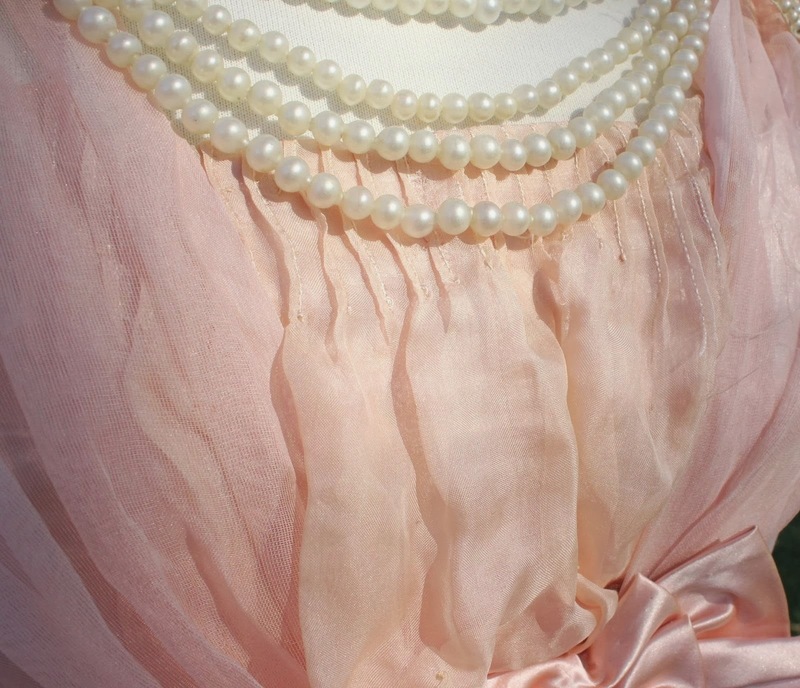 I purchased this dress from an estate auction in Pennsylvania. 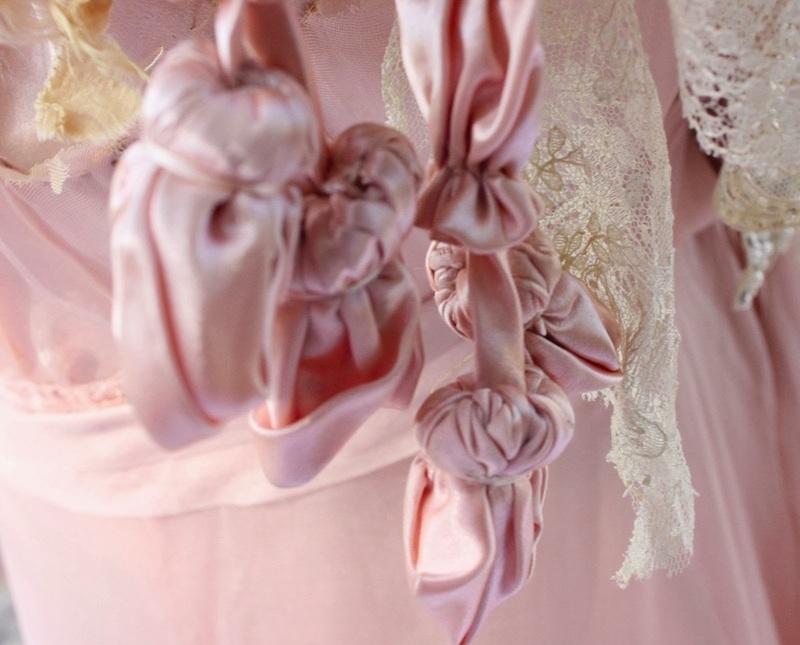 Antique dresses are not my specialty – I’m only able to describe it as I see it. I have more pictures of some of the details - if you email me, I will send them to you (I can only post 12). The waistband has a very mid 20th Century look to my eye. The pearls look later too. I'm really not sure on this one. I'd like to say it's 1930's/1940's and for a play set in 1910's - particularly with the way the skirt is cut. It looks all together much more 1930's (skirt looks biased cut, waistband has a "modern" looking logo, poss. rayon overlayer) to me than 1910's. Any other ideas?